There are 86 LEGO® bricks for every­ human being on earth (for real), but you’ve never seen them assembled like this. 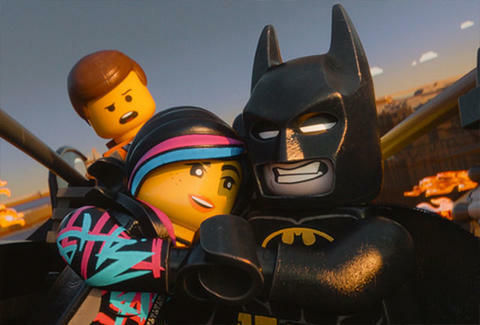 The LEGO® Movie -- from the brilliant nostalgia masters who took 21 Jump Street to the big screen -- is an epic adventure built around a killer cast: Chris Pratt, Will Ferrell, Elizabeth Banks, Will Arnett, Nick Offerman, Alison Brie, and Charlie Day are just some of the pieces bringing the iconic plastic to life. Oh, and Morgan Freeman plays his first wizard -- how has that never happened before? The best part? None of these fine actors will get lost under the couch, and there are no instructions to follow… except watch the trailer above and see the movie in theaters Feb 7th.